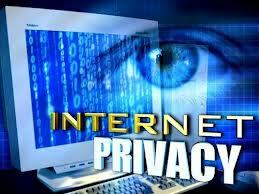 U.S. National Security Agency global surveillance of virtually all Internet traffic has been devastating for Google’s international business. At the exact time when Google has launched a strategic initiative to expand as an Internet Service Provider (ISP) in foreign countries, the NSA revelations have torpedoed its efforts. Google sees its future growth being dependent on emerging new markets that either do not have Internet connectivity or it is very limited. Google has been experimenting with low orbiting satellites and stratospheric balloons as a means to expand Internet coverage to the most remote corners of the globe. Last March, Schmidt visited India to meet with government officials and to discuss his vision for the Internet. At the same time, Schmidt also wrote an editorial in The Times of India arguing for a Google future in India. The response of the Indian government was to ban Gmail use in all government agencies. ICANN, the organization that manages the Internet globally, is based in the United States. ICANN has also realized the huge damage to its credibility, and is scrambling to distance itself from any relationship with the U.S. government. I would expect that as the International Telecommunication Union, a sister global organization, is based in Geneva, Switzerland, ICANN may be expected to relocate to Switzerland. SUMMARY:Google’s chairman says the NSA’s tapping of its and Yahoo’s fiber-optic cable data traffic probably violates the law. Google, a company that’s taken some lumps itself for treading heavily on users’ privacy, is not at all amused by reports that the National Security Agency tapped fiber-optic cables running between its data centers. Google Chairman Eric Schmidt registered that disapproval to CNN and other news outlets early Monday.